Last month, I attended my first Dose Market as part of our Mother’s Day celebrations. The monthly market takes place at River East Arts Center and features a curated selection of Chicago’s fashion, food and housewares vendors. I especially loved the french bakery eats, unique jewelry selections and vintage housewares displays. The bacon table was also quite a hit. Although there aren’t that many vendors (this is a showcase, not an expo), there is a nice variety of various local businesses represented, and you can’t beat the open, airy atmosphere of the arts center. Plus, you can even make your own flower wreath to wear in your hair. I was able to show some willpower, and besides tacos, a croissant and an horchata coffee, the only other purchase I made were some delicate, simple ring bands by Samantha McIntosh. I still have her bee ring on my wish list. 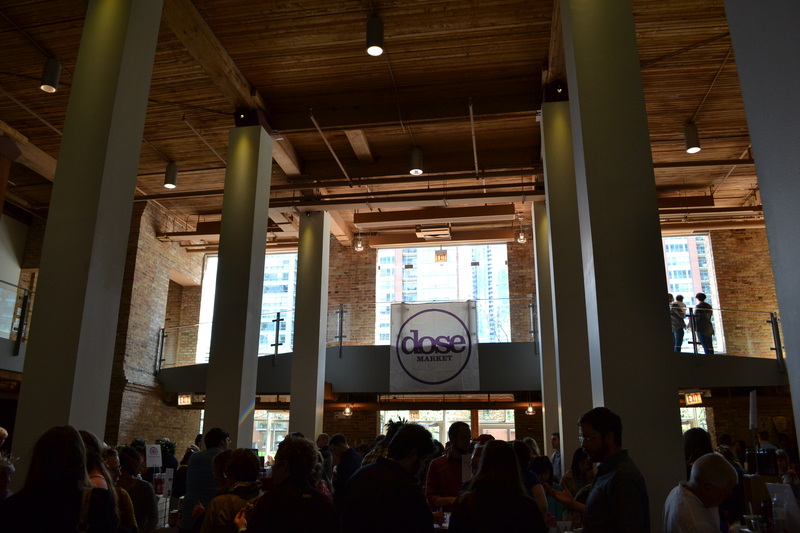 If you haven’t checked out Dose Market, I recommend it – as a matter of fact, June’s event takes place today!